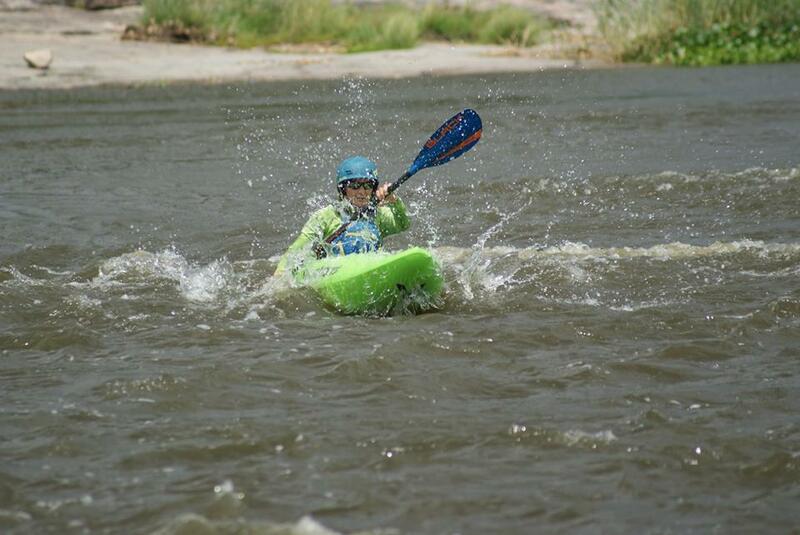 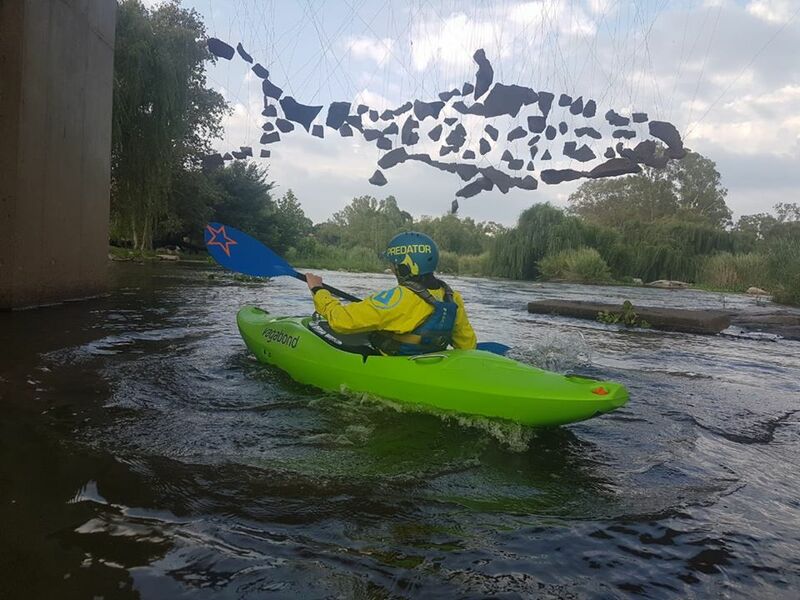 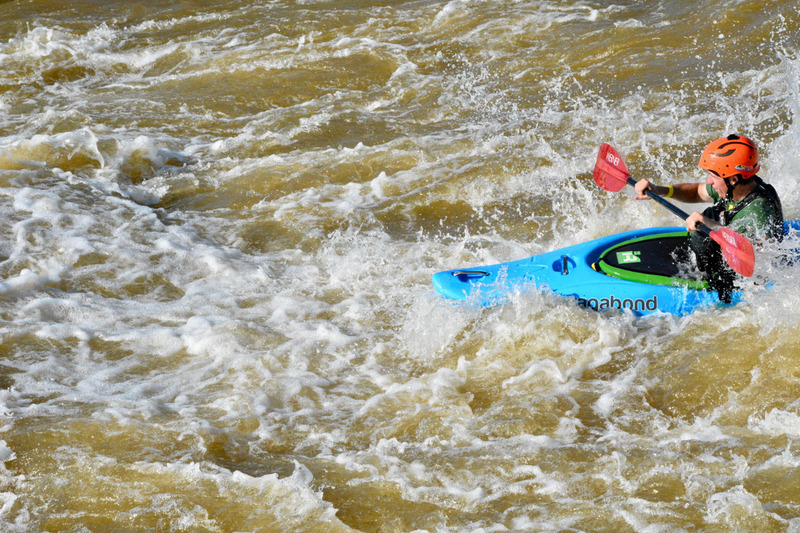 Taryn van Olden paddling a pre-production Pungwe on the 'Top Section' of the Vaal River at Parys. 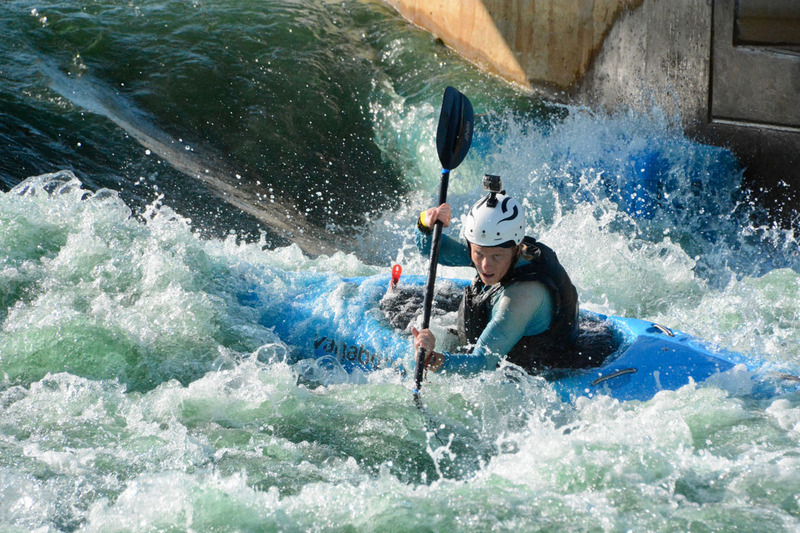 Photo by Hugh/Erik du Preez. 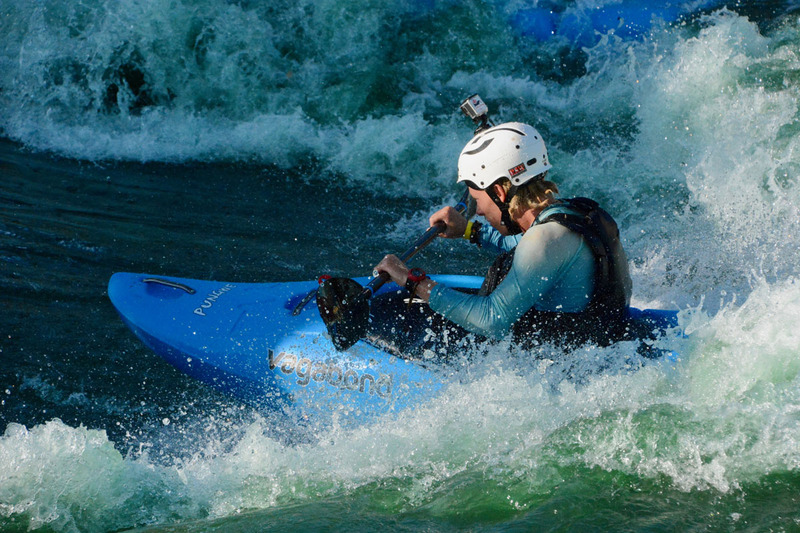 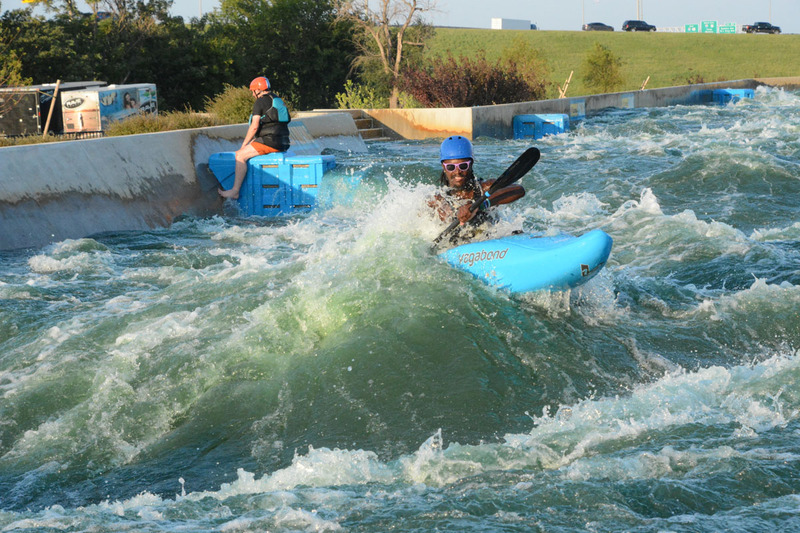 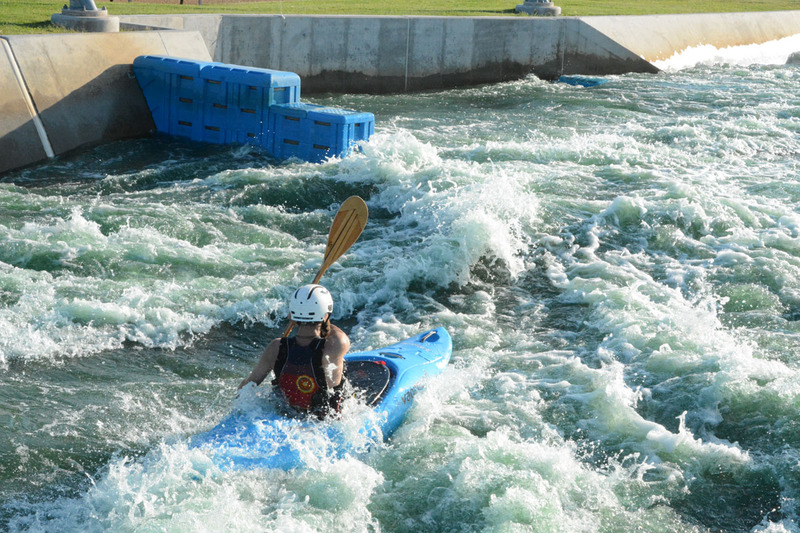 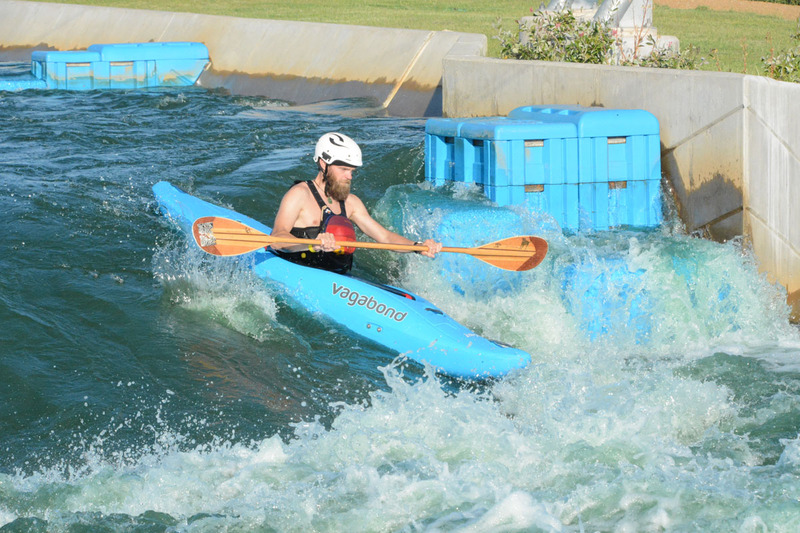 The Pungwe in action at the Riversport Adventures OKC whitewater course in Oklahoma City. 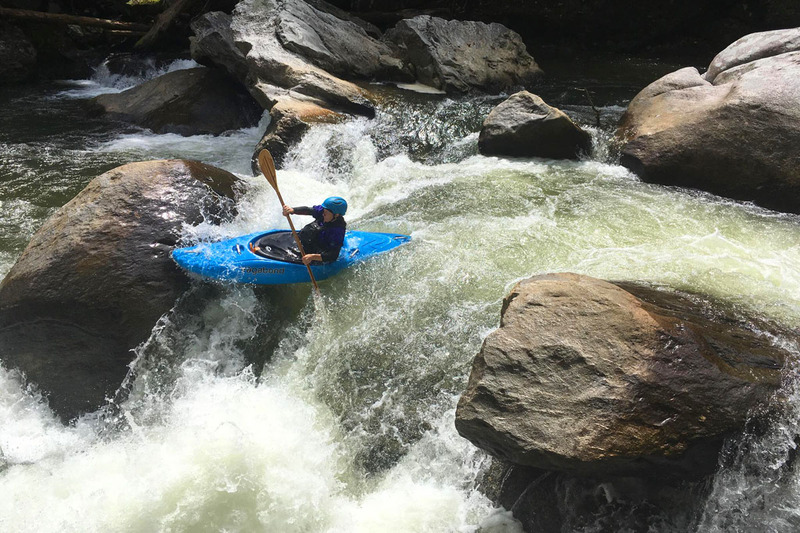 A pre-production Pungwe - with prototype composite outfitting - is being put through its paces by Christine Vogler on the Green Narrows, a challenging section of whitewater on the Green River near Asheville, North Carolina. 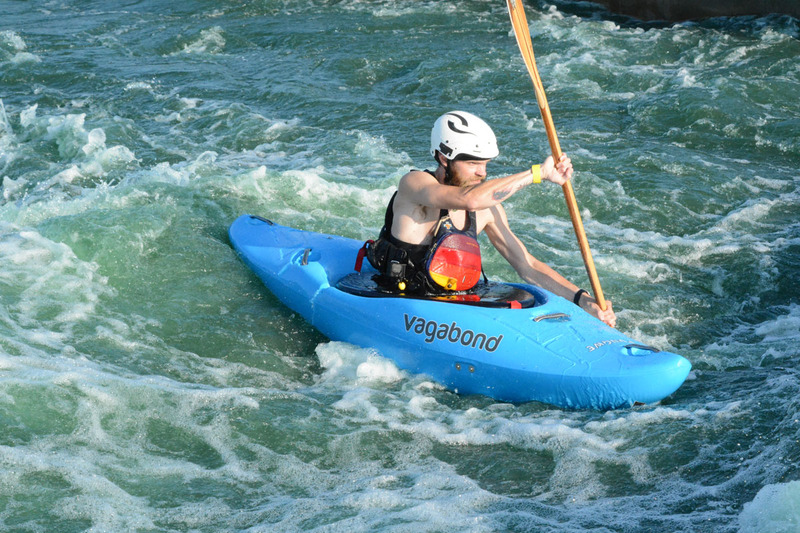 Here the river funnels through a gorge. 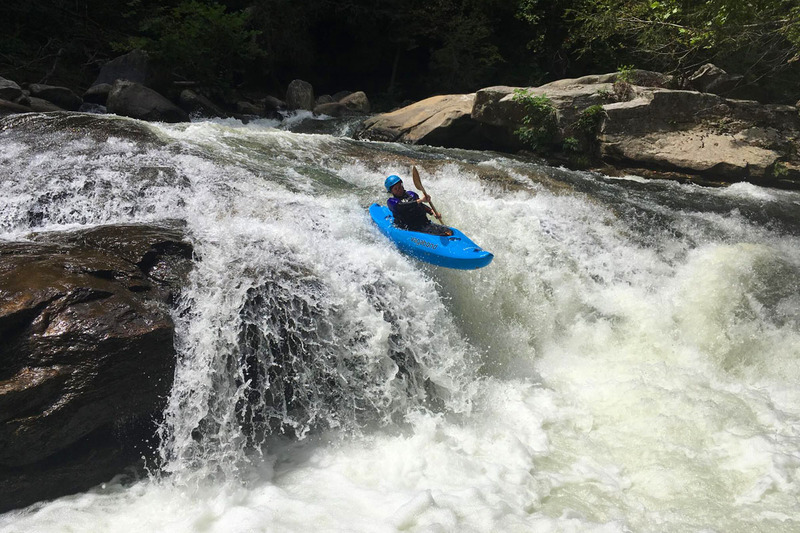 There are extremely narrow channels, many class IV+ and V+ rapids and waterfalls that leave little doubt as to why this stretch is regarded as one of the most extreme kayaking runs in the eastern United States. 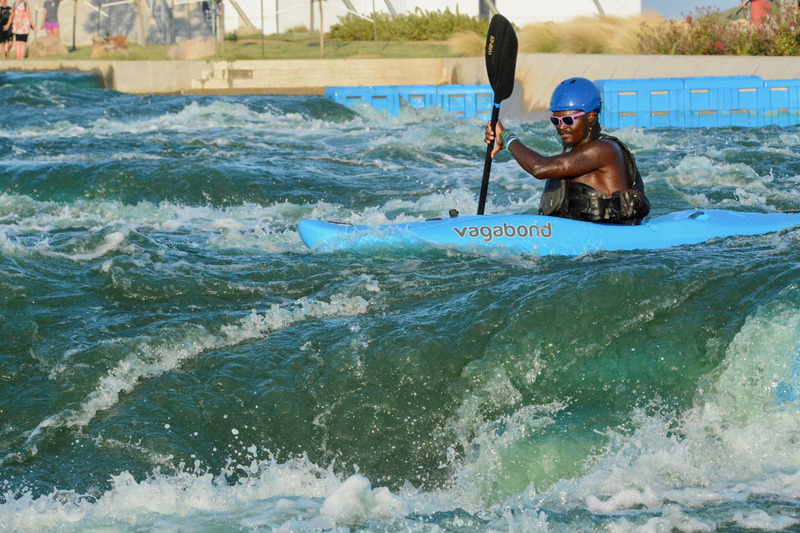 The Pungwe thrives on technical and lower volume creeks. 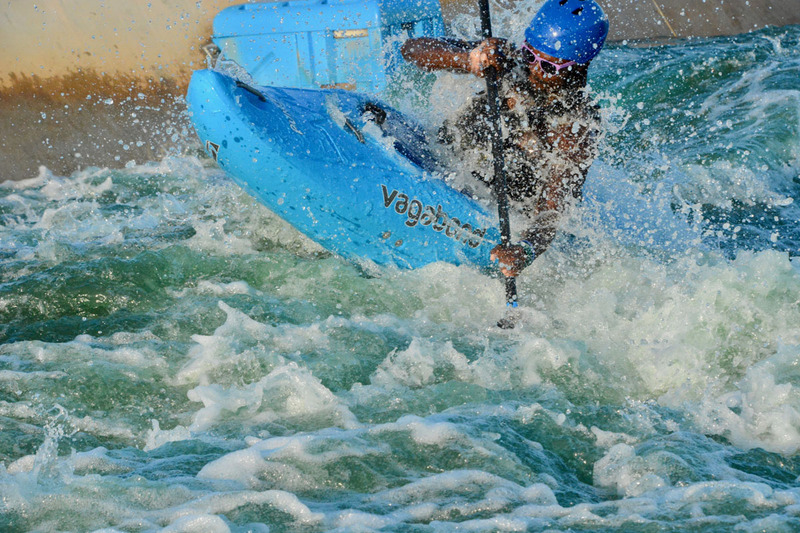 It has has substantial secondary stability that is vital for confidence when running steep rapids. 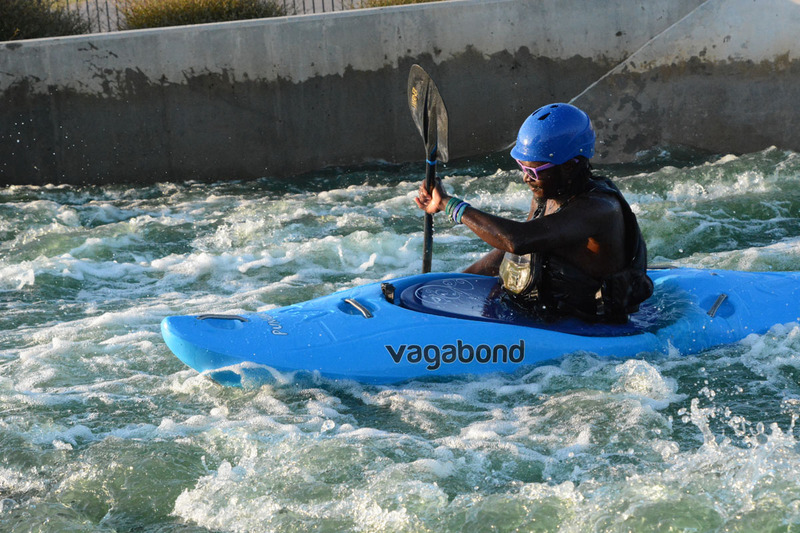 The shape of the bow and volume helps the Pungwe transition through eddy lines and aerated water without spinning out or slowing down. 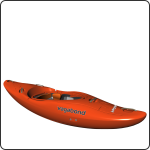 The hull of the Pungwe has been designed to stay on track on flatwater and to respond instantly to paddle strokes when direction change is critical. 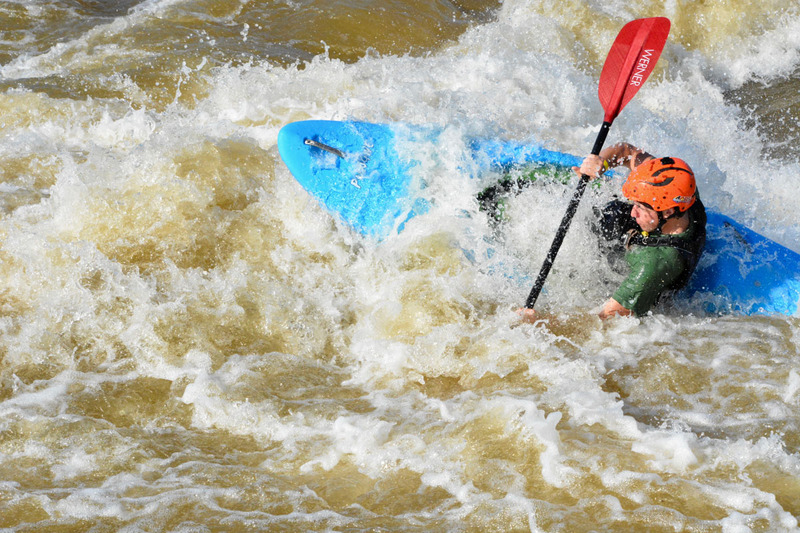 The Pungwe has peaked front and back decks to resurface with control.